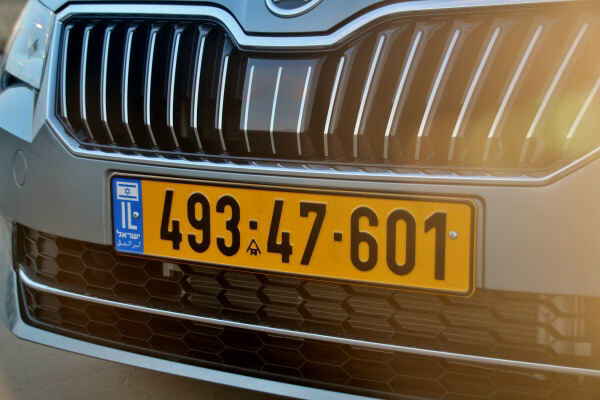 New plates with 8 numerals were introduced in July 2017. 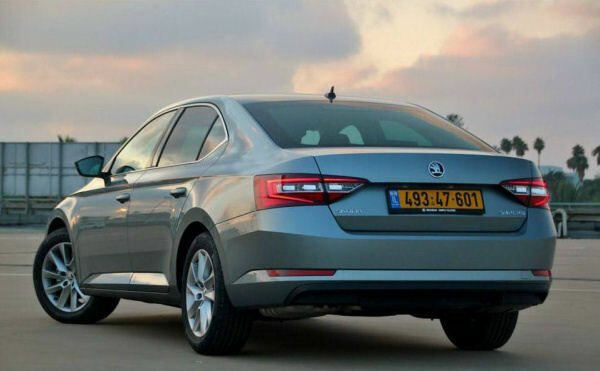 A photo and another photo courtesy of Yoav Katz. Diplomatic series. UN = United Nations. 22 = U.N. agencies. 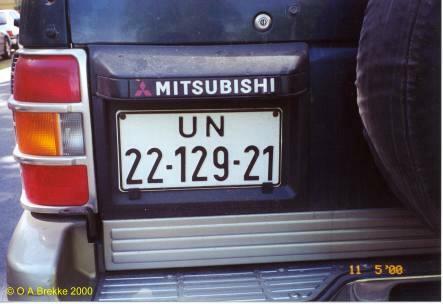 21 = Diplomatic. Normal series 1989-2017. 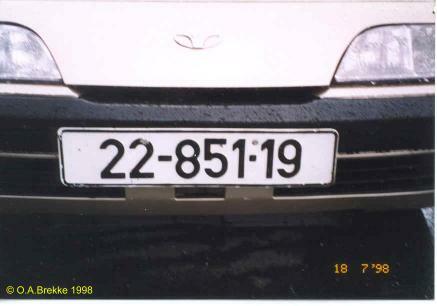 1989-99 plate style, still optional. Colours are black on yellow. This vehicle was "disguised" with fake plates 178-4108 front and rear. 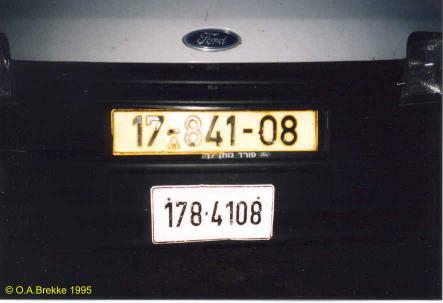 When I asked to take a photograph the driver fetched the real plate from inside the vehicle. Normal series 1989-2017. 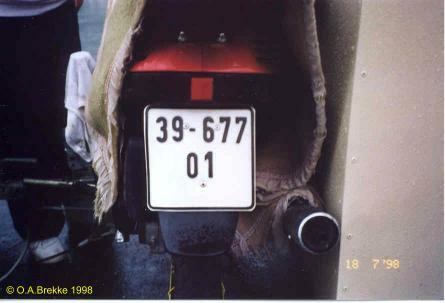 "Disguised" with white plates. Normal series 1989-2017. Small size. 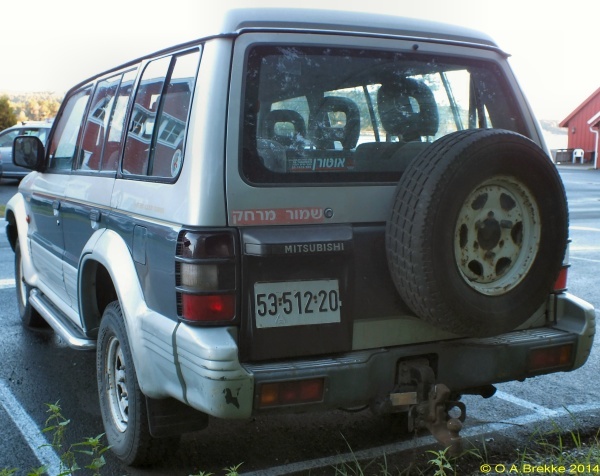 20 = Mitsubishi (car make coding was abandoned in 2000). 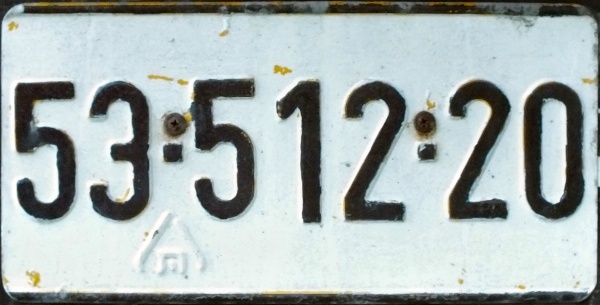 The original yellow plate has been overpainted with white. The yellow under the white paint is visible as well as the Hebrew letter מ underneath the first hyphen. Normal series 1989-2017. Moped. "Disguised" with white plates.